For those who haven’t figured out exactly what it is, we’ll define a vaporizer just for your sake. Put simply, it’ a device powered by a battery and designed to turn specific mediums like e-liquids, waxes, herbs, and others into vapor. More often, it’s used for medicinal purposes but other times it can be utilized for recreational purposes. ​They come in many forms. How they are classified mostly depends on their use and the form in which they come in. And digging into the saturated vaping market to find what suits you is not a place you wish to find yourself. It’s an overwhelming task, to say the least. But who said someone can’t do it? Well, we’ve done the bulk of the work for you and so what remains is for you to comb through our list and pick out what suits you because we’ve only listed the best in each category. ​​Best Vaporizer Reviews: There's One for Everyone! V2’s Pro Series 3 Vape has always emerged top in nearly all the vaporizer reviews and it isn’t hard to see why. First off, it’s a 3-in-1 vaporizer meaning it can accommodate not only e-liquids but also wax and dry herbs. What’s more, it uses different cartridges for each of these functions. That should be good news to any vaper out to find a versatile ​device. Its chamber can hold up to 0.1 grams of concentrates which is enough to let you get 5-7 draws. Also, the vapor delivered when you use either of the three cartridges is not only clean but also incredibly smooth. Very important to note is that you should regularly keep its 1.6 ml e-liquid cartridge topped up as that will make it to last longer. Of course the said cartridge is a consumable item and so you’ll have to replace it with a new one after about 15-20 refills. Not doing this might put your vaporizer at risk of damage. When it comes to power, its 650mAh battery can deliver between 3.2v-4.2v. Please note that the wax cartridge and loose leaf cartridge are not included in the kit and so you’ll have to purchase them separately. Generally, the V2Pro Series 3 is a solid buy because it’s an all-round vaporizer known to deliver excellent performance and what’s best is that you can own it at a very affordable price. MigVapor’s Matrix Ceramic might be a bit higher on the price scale but that’s nothing compared to what it’s able to deliver. Despite being a pen-sized vaporizer, what really make it superior is its potential to give sensation, intensity and a flavor that is certainly second to none. 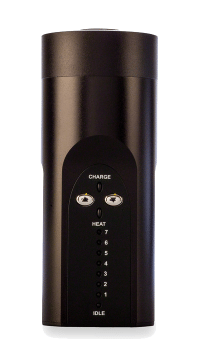 Unlike other expensive vaporizers, the matrix doesn’t put a limit to temperature control. You can customize it as you wish (up to 435 Fahrenheit) and that’s good news because it’s the only way you can get the most out of your dry herb. Another great thing is that the vaporizer is compatible not only with dry herbs but also oils and concentrates. The concentrates/oil chamber is included in the kit. From its ceramic chamber, expect clean, smooth and incredibly even vape. Power is generated from its 2200mAh battery which besides having a reasonable amount of life, also last up to several days (for the average vaper). It also has an OLED display screen from which you can adjust up to 135 different settings. Overall, for its price, you get pretty much a lot that you wouldn’t get from every other highly-priced vaporizer. Portable vaporizers became increasingly famous in 2016 and as you can guess, it’s because they pack the best of vaping technologies. But what is it that makes them unique? Well, besides being small and compact, they are remarkably powerful due to the fact that they incorporate recent technologies. Two conditions a portable vaporizer must fulfill include fitting perfectly in your pocket and the ability to efficiently vaporize a dry herb. If it happens to work with oils or wax, consider that a bonus. So here’s what we recommend as the best portable vaporizer for you. 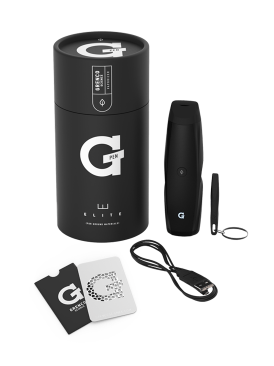 What really strikes you first when you set your eyes on the G Pen Elite Vaporizer is the sleek design it has. It’s a futuristic and enticing design and if you thought that was it, well, its bottle-like-box that houses it is sure to leave you gaping in awe. Also included in the kit is a G-card, which looks similar to a typical credit/debit card, and also a chamber tool. It’s through the help of the chamber tool that you will able to clean the device with ease and fill it up without any spillage. To grind your herbs, you’ll need the G-card which can definitely fit well in your wallet next to your credit/debit card. Not only is its chamber fully ceramic but also allows for 360-degree heating. You can fill it up with up to 0.75 grams of dry herb and from that you can expect unparalleled flavor. Another great thing is the custom temperature which you can adjust between 200F and 428F. On top of that, you have an LCD display screen that will show you different stats such as the current temperature and battery use. Its battery life is also on par with the best. 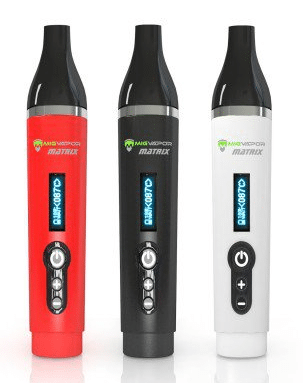 Stick Vaporizer is predominantly a dry herb vaporizer but you can as well use it with a typical e-liquid tank which as we said earlier, is a bonus. Something else you will love about this product is that it has variable voltage (2.0 v- 10.0v) as well as variable wattage (5w-40w). So what can one expect from this? Well, nothing short of a smooth and powerful vapor you wouldn’t easily find on every other dry herb vaporizer. Power is supplied by a 2200 mAh battery which is enough to last you an entire day. Another important feature is its technologically advanced tank. It’s one of the few sub-herb tanks that can be used for different vaping styles including dry herb and concentrates. And typical of MigVapor's famous Sub-Herb vape tank, it’s fairly huge and can really take a lot of herbs. There’s so much more to this sub-herb tank besides that and this video has bared it all. Check it out. You can as well attach any other vape tank to the device’s battery and still get a great mod that you can use with your e-liquid. And thanks to its LED display, you can easily maneuver through its different functions with ease. So for its excellent features, great flavors, and portability, it’s safe to say the Sub Herb Z Stick Vaporizer is indeed great for the price. Oftentimes, the terms dry herb and weed are used interchangeably. Dry herb could be any herbal blend, for instance, chamomile or peppermint. Weed is pretty familiar to many of us. It’s just a specific plant well known for its diverse effects. So why get the best dry herb vaporizer or the best weed vaporizer? Great question. Each of these vaporizers administers weed or the dry herb to you through vaping. The great thing about this is that you get to enjoy all the wonderful benefits of the element being vaporized without worrying about any side effects. 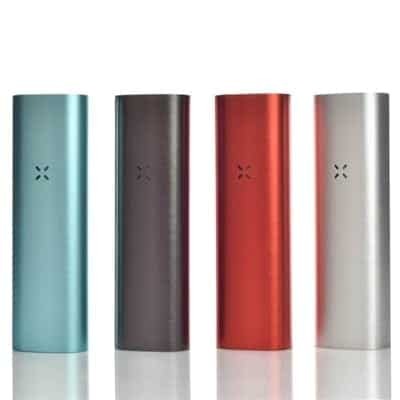 Pax 2 follows in the footsteps of one of the most celebrated vaporizer of all the time, the PAX. It’s easily one of the most portable herbal vaporizers you will ever come across. And it’s better than its predecessor. More emphasis has put in various significant areas, from size to design to battery capacity and even to its performance, and that’s what makes it one of the best. The vapor it delivers is not only smooth but also mouth-watering and definitely better than what other vaporizers in its class can give. Also included are four temperature settings which should be good news to those who love to experiment with their device just to see how far the vaping experience can get. Another remarkable feature on this device is the lip sensing technology. What this technology does is detect your lips when you are vaping and be able to optimize both the heat and vapor production. When it comes to vaping itself, the Pax utilizes a stainless steel oven that can hold roughly 40 grams, depending on the nature of your dry herbs or weed. You can get up to roughly 100 minutes per charge so it’s safe to say the battery packs a fair battery life. You will also not have a hard time cleaning and maintaining it. Firefly 2 is unique in so many ways. But what many love most about it is the fact that it features on-demand heating. What this means is that the bulk of the heating work has been stripped away from the oven. All you have to do is press the button to initiate the heating process. All the control is actually left to you now. You can pick between its many heating profiles (340F to 420F) which is the perfect temperature for your weed or dry herb. And it also automatically activates itself when you grab it, thanks to its touch sensor technology. All these mentioned features make it ideal for both short and long drawn-out sessions. With such a heating system, forget about seeing your precious herbs or weed get wasted. Its chamber can take anything between 0.1 g- 015 grams of your herbs. It’s actually the recommended average. Power is supplied by its two 7.4V Li-Ion batteries. Another great thing about its batteries is that it will take an average of 45 minutes to fully charge them after they run dry. You will also love the fact that the device is really great at concealing odors. Atmos Jump is one of the cheapest weed pens that has a remarkable capacity to fully vaporize your herb. More effort was also put into its design. If you relish carbon fiber, you are definitely going to fall in love with this device instantly. Its heating chamber is decorated in a metallic blue color which looks pretty good on it. Despite packing only one temperature setting, the quality of vapor that comes out of it is of really high quality. It tastes nice and besides that, delivers some decent clouds. It’s powered by a 1200 mAh battery which offers enough power to last those out to do a lot of vaping. Even after your vaping sessions, you will have no difficulties cleaning it. Its chamber can take up to 0.2 grams of material and from this you can get up to 10 puffs. If you are new to vaping and also out to find an inexpensive vaporizer, don’t look any further than the Atmos Jump. CloudVapes never disappoints and this time they give us the Cloud V Phantom. Coming from a reputable vaping company, you wouldn’t expect anything less of a quality vaporizer and that’s what it is. It’s specially designed for dry herb​. Even though the design is pretty basic, more effort has been into functionality which is definitely what most vapers care about. You can supply it with up to 0.2 -0.3 grams of your dry herb but more important to note is that you need to grind your herbs to be fine so as to get the most out of it. The temperatures are preset and it’s great to note that it can hit up to 420F. As for the battery, a 3-hour charge can last nearly 45 minutes when you vape continuously. 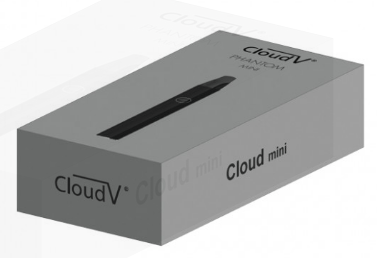 The device has been priced right and makes a great choice for a person who has never tried vaping before but who doesn’t want to spend a lot to own a decent vaporizer. The good thing with vaping is that it caters to everyone in the entire smoking community. Cigarette smokers have the option to use e-cigarettes and same also applies to marijuana users. If you are a marijuana user who hasn’t heard, leave alone used a vaporizer, here’s decent option you should know. Vaporizers are the most advanced devices from which you can get the best out of your marijuana. Not only that but they also make the best alternative to smoking marijuana or tobacco directly. So forget about pipes and bongs. VaporFi Atom has been described by its creator as a rare dry herb vaporizer with the power and consistency needed to vape that dry material to precision. By simply holding down the heating button, you can pick your preferred temperature from between its main three options (360F, 410F, 464F). To help you go about this accurately, an LED indicator will light up to show you which temperature you’ve chosen. Also featured on the device is a smart motion-sensing system that works to detect your battery level. Its battery has 3000 mAh. Another advanced featured included on this device is the smart frame whose work is turn off the ​device after 30 seconds of inactivity. Beneath it lies a large ceramic chamber and thanks to this location, the air flow is swift which is particularly helpful in delivering a mouth-watering vapor free from odor and other toxic elements Due to the large size of the tank, you’ll spend less time repacking and get to enjoy prolonged sessions. For its excellent features, from the sleeping mode to the advanced sensing system to the automatic shutdown and overall great performance, VaporFi Atom indeed makes a great medical marijuana vaporizer and best of all, it comes at a very friendly price. 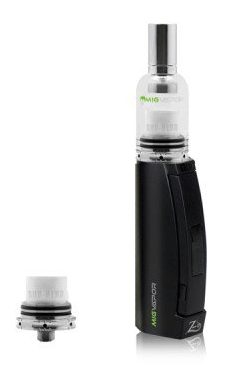 Arizer Solo Vaporizer maybe a little old- and reasonably large- but it still manages to stay on top of the charts due to its superior qualities. It’s built to resemble a tank and has one of the best built quality. No matter how often you use it, it guaranteed to serve you many years. Its glass tubes are designed to give not only a cool but clean vape. Also included are five different levels of preset temperature. That is sure to help you easily find your ideal vape setting easily. What’s also great about it is that it can vaporize your herbs efficiently leaving you with a pure and remarkable taste. Arizer Solo’s tank is made out of ceramic. Power is provided by a rechargeable 2200 mAh lithium-ion battery able to last a maximum of two hours when using the device continuously. And if 12 minutes elapse with no activity, the device will automatically shut off. Generally, the vaporizer has gotten a great nod, including from the best vaporizer reviews, for its capacity to deliver thick vapor clouds that are without any impurities or other unhealthy elements. One thing that is clear from our ​reviews is that there’s a vaporizer for each of us. Whether you want a vaporizer that is simple and portable or one that is as slim as a pen or one that vaporizes your weed, dry herb or medical marijuana efficiently, our list has covered. 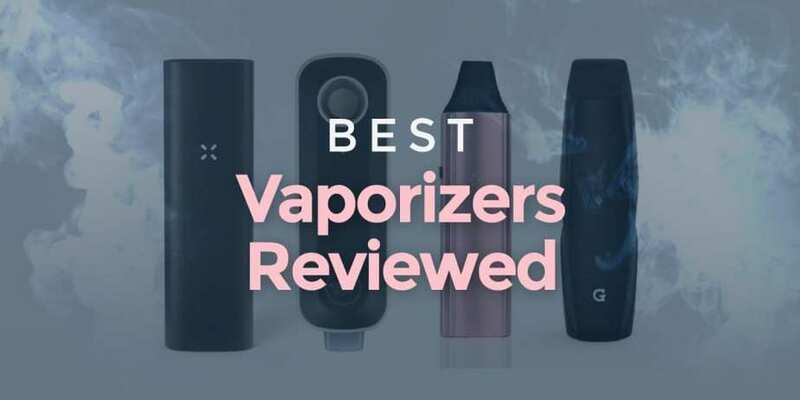 Also within our list, you’ll find vaporizers that are great at delivering massive clouds and mouthwatering flavors as well as those that are perfect for novices and pro-vapers. What’s so great about every top vaporizers we’ve listed is that if you take good care of them, they are sure to last longer. Price is certainly a huge deal for many people and from our list, you’ll find decent vaporizers that fall on the lower end of the price scale as well as high-end vaporizers. Some vaporizers come with a separate cartridge, often sold separately, that you can use to vaporize other products that the already installed cartridge can’t vaporize. In fact, nearly all these vaporizers come with a list of great accessories that you can buy separately if you wish to enhance your vaping experience. One important factor you should put in mind even as you shop around for top vapors is the type of product you intend to put in your vaporizer. If you wish to use all the three products- dry herbs, wax and oil concentrates, be sure to try out the V2 Pro Series 3. 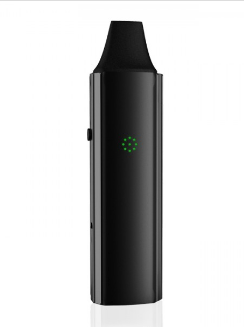 It’s a 3-in-1 vaporizer that can accommodate all types of products. So in short, our review has you covered in almost every aspect and so what remains is for you to simply find what suits you best and try it out.